Nada – divine music from Appaji is a feast. as it is often observed any concert from Appaji anywhere in the world is CELEBRATED as a huge function. The nada in that concert itself is the pinnacle of the celebrations. The London concert of 2008 is one such master piece from Appaji, that it had everyone love the music. 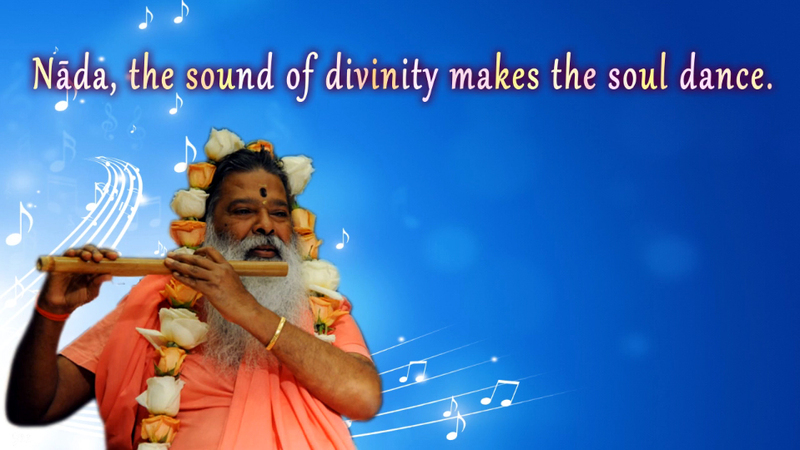 The divinity in Appaji flows through the synthesizer and into the audience which will be attracted by all the souls – which originally come from purity. Then the soul dances to the synergy observed in the music. It is very clear that nada created this universe and finding such a pure and blissful music – the soul dances to the ecstasy.